We are 2 days away from officially starting our Spring Break!!! I think everyone is ready for a week off. The noise level in my room is elevating and so is my blood pressure! 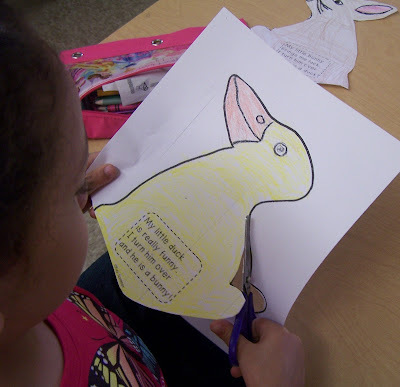 We just finished up our quarterly math assessment yesterday and I promised the class that we would do a rabbit and duck craft when the testing was done. So I took a deep breath and we got busy! 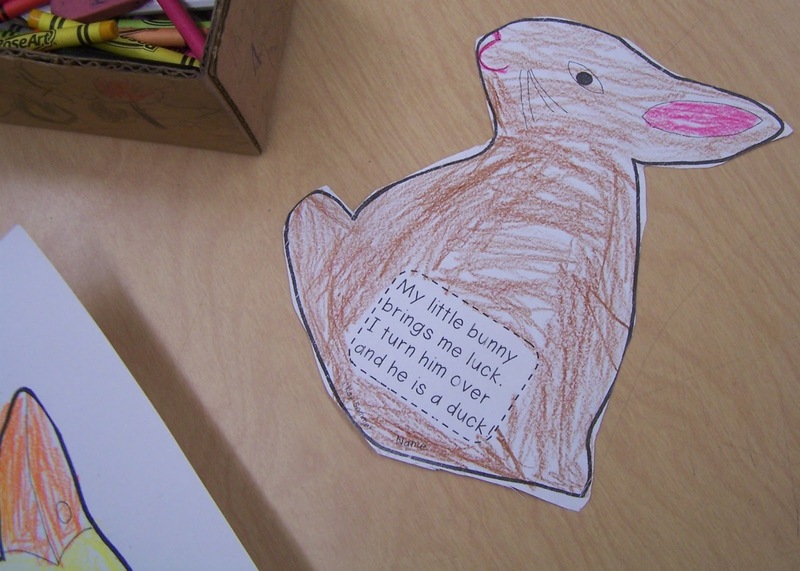 Then we colored and cut out the duck. We glued the two sides together with a large craft stick in the middle. 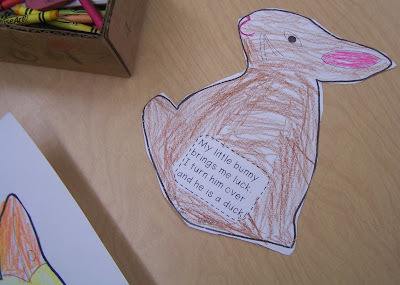 Then we read the cute little poem on each side. The kids loved making this and were so excited to take it home! One of my students found a great use for the finished craft. She said that she could use it for her church fan! Get the Rabbit and Duck FREEBIE here! I totally do this with my kids too! They love it! I'm excited to meet you Saturday! Thanks so much for this freebie! They are soooooo cute! We are on Spring Break right now, and I know my little ones would love this activity next week. Thank you! It was so nice to meet you on Saturday! I am your newest follower! it was great to meet you on Saturday! I'm your newest follower! Coloring is very therapeutic after testing! Thank you for sharing the craft! 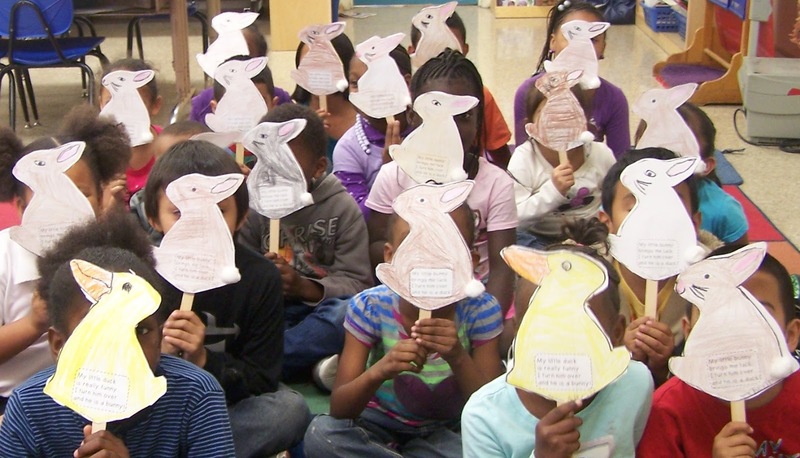 I love that you gave your kids a craft to do after a stressful assessment! 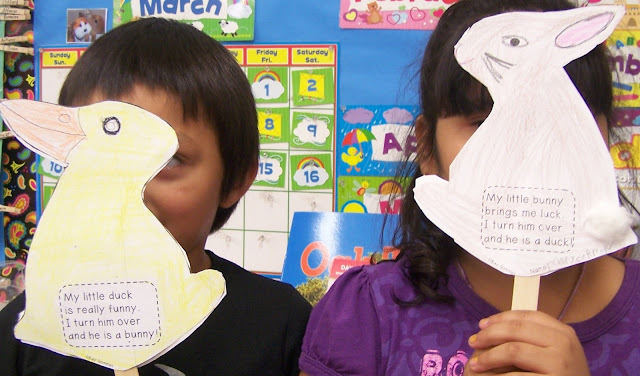 Cutting along lines is a life-long skill that kids miss out on nowadays with all our curriculum content!